Home » Becoming an Author » What does it take for you to tell your story? One word. Courage. 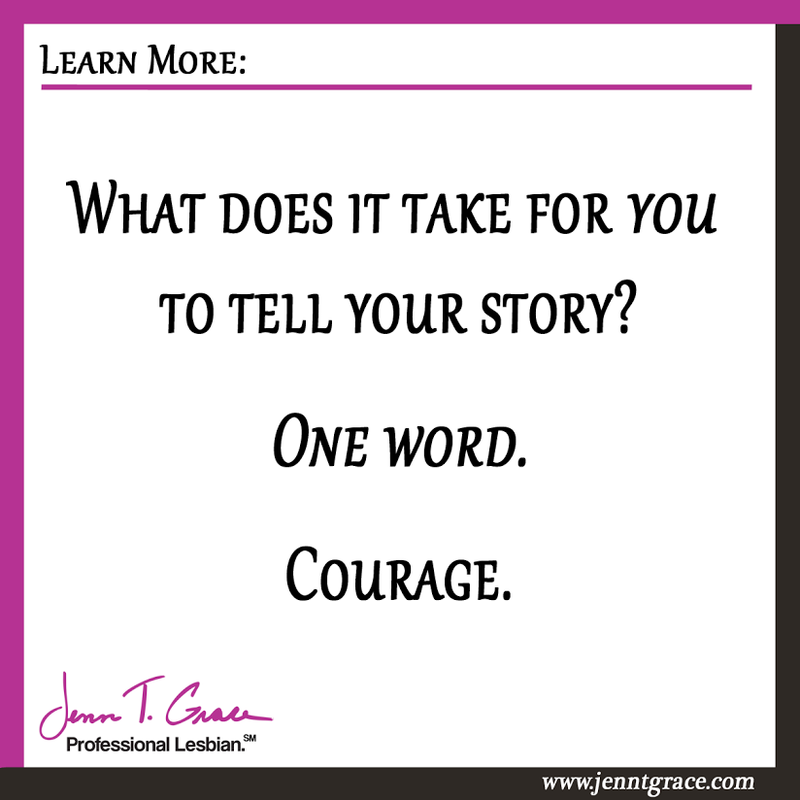 What does it take for you to tell your story? Yes, that’s the biggest component of getting your story and message out to the world. It is the courage to say yes and commit to doing it. Yes, telling your story and writing a book can be daunting for many different reasons, but in my experience the desire to do write it overcomes any obstacles that stand between you and your desire to share your message with the world and be able to add published author to your bio and resume. Do you have a story that you know will resonate with someone who needs to hear it? Did you overcome being bullied for who you are? Did you reject the suicidal thoughts that once consumed you? Do you wish your 14 year old self could see who you are today and have the peace of mind and comfort of knowing that it will be okay? Are you a rockstar business owner who knows that if you publish a book it is going to skyrocket you past your competition, while contributing something good to the world? Then you, my friend, have the beginnings of a compelling story to share with the world. If the thought of putting all of your story down on paper has you frozen in fear either because it is too hard to think about, let alone write about and talk about, or because the actual process of organizing all of this makes you want to run for this hills – stop. Find a quiet place and get a piece of paper and a pen. Could sharing my story potentially be a game changer for my life, personally or professionally? Could sharing my story be a game changer for the person who reads it? What do I have to lose by getting my message and story out to the world? Write down your thoughts around each of these questions. Dig deep. Think about what the real reason you are holding yourself back from taking this next leap into becoming an author. If all of the minutia and logistics of publishing a book are what are really scaring you, then you are in luck. On October 4, 2016 I am launching a live group author program where I will be walking 12 participants through the process of writing a book in 90 days. All you need to bring is your ideas to the table, your willingness to be open and share your story and I will help you short cut the entire publishing process so you can continue to focus on what you love to do – and not be bogged down in the weeds of publishing. I’ve helped publish nearly a dozen books in the last few years and am working on eight this year already with a variety of authors. So let me help you, like I’ve helped them – fast track the publishing process and accelerate you to author status this year! In my next blog post, I show you how to identify the purpose of your book – maybe it is helping others? Or it is for marketing purposes? Maybe a revenue driver for your business? I discuss that in more detail in my follow up blog, which you can read here. 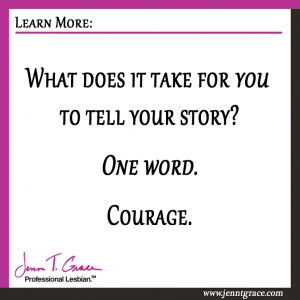 2 Responses to What does it take for you to tell your story? One word. Courage. Hi Jenn, nice something that I really needed to see. As I am getting back on track with my writing and other parts of my life that have been a bit off. Courage is a very important part of a?l of it. How it all starts. One step at a time. Hi Jackie – great to hear from you again and it’s awesome to hear you’re getting back to writing! Feel free to reach out to me or my team if you’d like to learn more about our author’s academy.